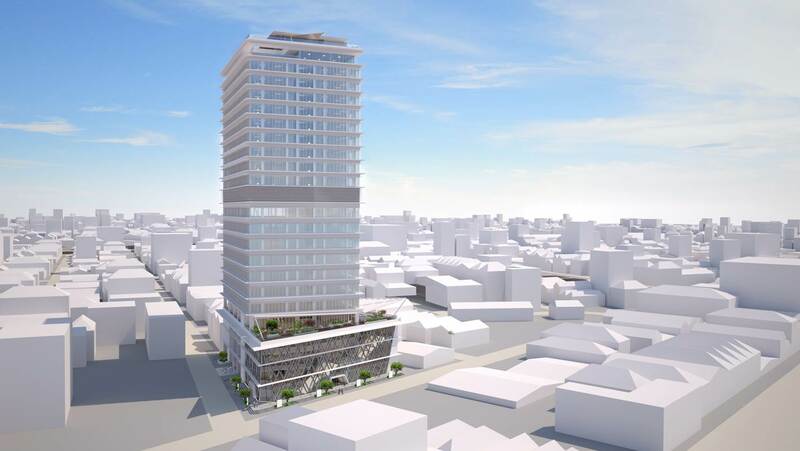 TOKYO, JAPAN — Okura Nikko Hotel Management Co., Ltd., a subsidiary of Hotel Okura Co., Ltd., announced today that in 2022 it will open Hotel Nikko Phnom Penh in the Cambodian capital. The hotel will occupy the upper level of the Japan Trade Center (tentative name), currently under construction, and the company expects to sign a contract on December 25, 2018 with UY United Co., Ltd. to manage the new property, following an investment in that company by URATA Co., Ltd. The hotel will offer 201 guest rooms each with a standard area of about 36 m² on floors 14-22 of the new building. It will feature a wide range of restaurants, including Japanese cuisine and all-day dining, and a skydeck bar on the 23rd floor where guests can enjoy stunning views across the capital. Founded in Urayasu City, Chiba, Japan, in 1974, Urata Corporation’s main areas of business are construction, real estate consulting, condominium development, and property renovation. In 2015, the company established URATA S.E (CAMBODIA) CO., LTD. to provide human resource development services and to drive the development of construction technology in Cambodia. In line with these objectives, Urata Corporation regularly dispatches Japanese engineers to Cambodia to help support the country’s continuing economic growth. About Hotel Okura Co., Ltd. and Okura Nikko Hotel Management Co., Ltd.
Hotel Okura Co., Ltd., founded in 1958, opened its flagship Hotel Okura Tokyo in 1962. Hotel Okura has extensive expertise in the hospitality world, including asset ownership and hotel development, as well as hotel management, restaurant business and chain operations through its subsidiaries and other group companies. The brand unites member hotels under its “Best Accommodation, Cuisine and Service” philosophy to ensure that all guests enjoy Okura’s signature hospitality, which combines Japanese attention to detail and Western functionality. Okura Nikko Hotel Management Co., Ltd., a subsidiary of Hotel Okura operates 70 properties (45 in Japan and 25 overseas) encompassing some 22,104 guest rooms (as of December 1, 2018) under three hotel groups: Okura Hotels & Resorts, Nikko Hotels International and Hotel JAL City.